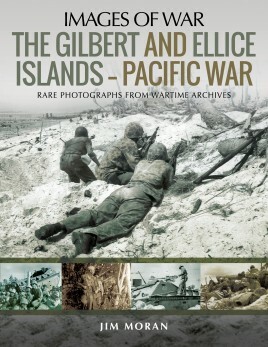 This classic Images of War book covers the dramatic events that befell both the Gilbert and Ellis Pacific island groups using a wealth of well-captioned photos and informed text. Soon after the attack on Pearl Harbor in December 1941, the Gilbert Islands were occupied by the Japanese who built a seaplane base at Butaritari. Soon after the attack on Pearl Harbor in December 1941, the Gilbert Islands were occupied by the Japanese who built a seaplane base at Butaritari. In August 1942 this base was attacked by the US 2nd Raider Battalion (Carlson’s Raiders). As a result the base was reinforced and a second built at Apamana. Betio Island on the Tarawa Atoll became the main Japanese strong point. Operation Galvanic, the US assault on Butarita, Apamana and Betio, was launched in November 1943 by the 2nd Marine Division and the 27th Infantry Division. While short in duration, the Betio battle has the dubious distinction of being the most costly in US Marine Corps history. Thanks to the author’s in depth knowledge and access to superb contemporary images, this book will be of particular interest and value to historians and laymen. Born in 1954 in Sheffield, England, JIM MORAN lives in Yorkshire with his wife and daughter. Following a grammar school education, Jim has had a forty-year-long career as a civil engineering surveyor working on major highway and airbase construction projects, both in the UK and overseas. Jim has been a student of the history of the United States Marine Corps, massing a huge collection over the past forty years. He has assisted Hollywood productions on uniform and equipment details for Flags of our Fathers, The Pacific (HBO mini-series) and Windtalkers. 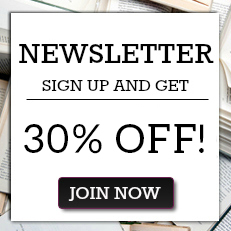 Jim is an associate member of the Second Marine Division Association, US Marine Raider Association, Marine Corps Association, and US Marine Corps League as well as being the 'on-board ' historian to the US Marine Corps League, Det 1088 (UK).